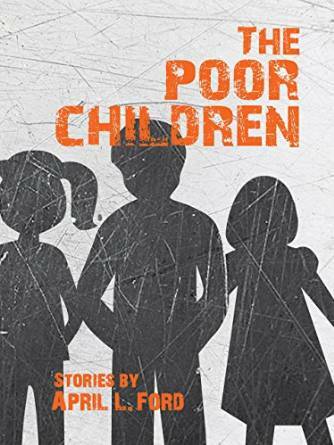 April 1, 2015 was a huge day for me: My first book, The Poor Children: Stories, debuted worldwide. The manuscript had been chosen from among several hundred entries to receive Grand Prize for the Santa Fe Writers Project 2013 Literary Awards Program for Fiction. While I delighted in most parts of the publishing process, like giving feedback on book cover mockups, and waking up every morning for eighteen months knowing I was one day closer being a published author, the part I was looking forward to the most was answering reader questions. Finally, people other than my spouse and workshop peers were going to say astute things about my writing! I had fantasies of strangers asking how I had settled on the characters’ names in “Isabelle’s Haunting,” or how I had learned about fumarase deficiency, and I was ready with answers that would make everyone go, “Damn, she’s got words and brains.” I mean, this was it, right? You’re a brand-new author one time only. Not once during the time it took me to write The Poor Children did I wonder if I had the right to tell those stories. I’ve never lived in a trailer park or worked in a juvenile detention center as a correctional officer, but I have experience with troubled youth. And I have the right, as an artist, to explore whatever compels me. As my colleague Dr. Doughty says, “No one asks a fantasy writer where she keeps her dragon.” Did I experience periods of saturated doubt in my craft while working on The Poor Children? Of course. I think any time a writer moves beyond the familiar, she’s susceptible to self-doubt, but this doesn’t mean she has no business going there. It means she has a healthy awareness of the many, colossal ways in which she can fail to accomplish her goal, that she respects the unfamiliar and doesn’t intend to appropriate it or indulge in gross and insensitive misrepresentations. In my first year as a creative writing student, three years before I would start The Poor Children, one of my workshop instructors said something like this: Once you’re bored with writing about yourself, you’ll want to write about other people. People who are nothing like you or anyone you know will suddenly seem exceptionally worthy of becoming characters in your work. You’ll have more confidence, you’ll want steeper challenges, you’ll declare, “I’m going to write a story about an orphan girl coming through Ellis Island.” Someone will definitely tell you, no, you cannot write that story, because you know nothing about the immigrant experience. Maybe you’ll listen to this person—in which case, good luck out there—or maybe you’ll ask yourself why you want to write that story. Are you looking to sharpen your skills, or simply brandish them before your peers? Why not rein-in your ambition and try writing from the perspective of a different gender, first? Read The Accidental Tourist by Anne Tyler. You’ll love it. The movie adaption is pretty good, too. I remember feeling annoyed by what I believed to be the subtext of the instructor’s message: Once you’ve exhausted writing about what you know, keep writing about what you know. Now, I believe she was encouraging us to be thoughtful once we arrived at the stage of our creative processes where change, great big leaping change, was inevitable. I believe she was also teaching us how to protect our egos so that we could write about the orphan girl coming through Ellis Island—she was preparing us for hallway readers whose benign curiosities about our personhoods might cause us to feel like frauds, “found out.” For me, it comes down to one question, no matter what I’m writing: Why am I writing this? If I can answer that question honestly, and feel good about my answer, then I give myself permission to keep going. This entry was posted on March 8, 2016, 11:30 am and is filed under Guest Bloggers. You can follow any responses to this entry through RSS 2.0. You can leave a response, or trackback from your own site.